We will show you circuits both with realistic illustrations and with schematic diagrams on our website. Illustrations will give you an idea of what the breadboard might look like in one possible implementation of the project. Schematics, instead, use symbols to capture the essence of circuits: they present the components and the ways they are connected in a clear, succinct, and unambiguous form, but not their physical organization. 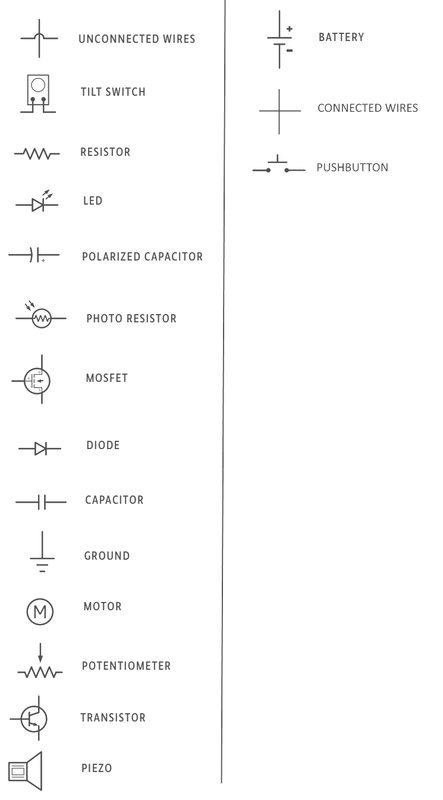 Schematics and schematic symbols are how we communicate about circuits. As you explore the world of electronics you will discover that some books and websites only provide schematic diagrams, so learning to read circuits this way is a valuable skill.